850ml / 3/4 litre Weck Preserving round tapered jar. 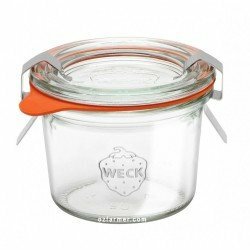 Takes Large lid and seal.Choose either the option of purchasing the jar only or the jar complete with glass lid, natural rubber seal and 2 stainless steel clips.Weck reusable Glass Jars are of the highest quality and contain NO BPA (Bisphenol A).These jars are suitable for water bath, and pressure canning. With the added bonus of being able to freeze and bake.The 850ml size jars are extremely popular particular for preserving stone fruit, apples and pears. They are also an ideal size for pressure canned meals.The most ver.. The Bormioli Rocco Swing top bottle has a number of practical uses. 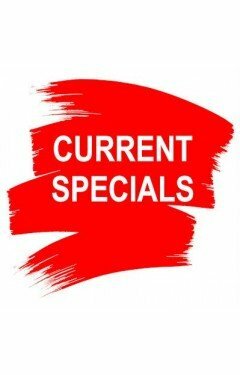 Store oils, vinegars, home made cordials and fruit liqueurs. As infused vinegars and oils have become increasingly popular for use as dips, dressings, or as an alternative to cream based recipes,these bottles are perfect for the home gourmet.With a modern, distinguished design, Swing bottles add a welcome addition to any countertop or dining area – and most importantly, allow home chefs to properly and safely prepare homemade oils and dressings. When making homemade infused oils it’s impor..
Bormioli Rocco Quattro Stagioni 250ml Preserving Jar. Comes with 70mm lid. 9.3cm high,8.6 cm round.This bottle is ideal for preserving jams, jellies, tapenades and pestos. It can also be used decoratively at weddings and other occasions: fill it with sweets or a homemade preserve for a truly memorable occasion. The bottle features beautiful etching on its sides and comes complete with a lid which incorporates a pop top seal to help you visually see that a vacuum has formed during the preserving process.The Bormioli Rocco Quattro Stagioni range is one of the most advanced collections of.. 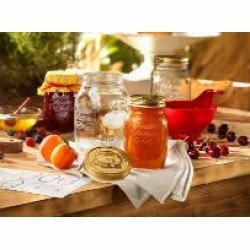 If you use a variety of different preserving jars and are tired of trying to find an easy way to open them, this Jarkey is the perfect gadget!Position the jarkey on the rim of the lid and lever upwards to release the vacuum in the jar.Can be used to open all types of preserving jars including Ball, Weck, Fowlers Vacola and even those tricky supermarket twist top jars.As the Jarkey just releases the vacuum in the jar it will allow you to open the jar without damaging the lid.Available in a range of frosted colours.Made of high-density ABS plastic with no moving or sharp.. Tired of ragged looking cheese blocks or the kids cutting off huge chunks from the block? With this cheese slicer, you can cut professional looking slices every time in either a thin or thick slice.Available in a range of colours selected randomly. Please let us know if you have a particular colour preference. Image shows the range of colors available. ..